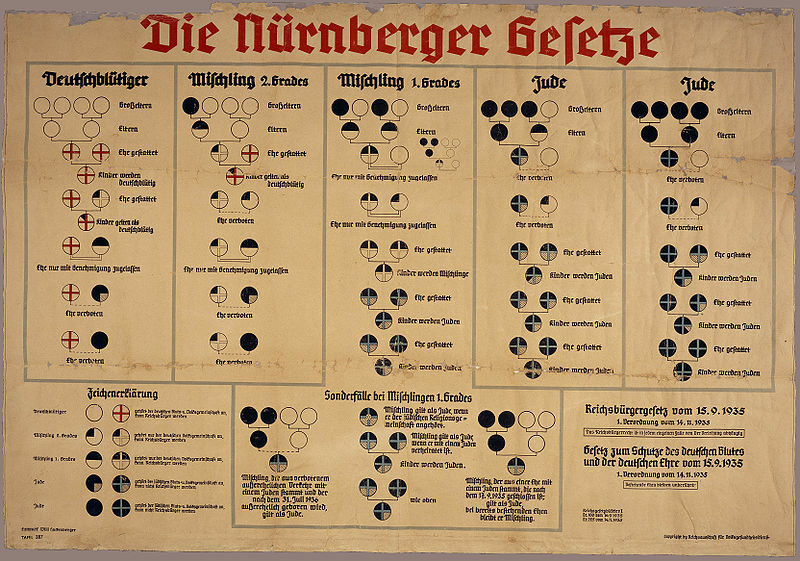 Nuremberg Laws - guide to determining racial purity. Click to enlarge. Six Nations militants and their CUPE-organized supporters have begun yet another smear campaign against Gary McHale and Mark Vandermaas – this time via an online petition directed at intimidating Mount Royal University into not allowing the voices of Caledonia victims to be heard at the upcoming ‘New Directions in Aboriginal Policy’ forum organized by Dr. Frances Widdowson on May 05/10 in Calgary. The individuals and ad hoc groups who have committed crimes against the people of Haldimand and Brantford do NOT speak for the people of Six Nations, and do NOT have the support of the people of Six Nations. As for who represents Six Nations let me put it this way: The Mohawk Workers, Women of the Mohawk Nation, the Men’s Fire or individuals like Steven “Boots” Powless or Ruby and Floyd Montour were not elected, appointed or authorized by the people of Six Nations to be their representatives or to speak on their behalf. Nor is the Haudenosaunee Development Institute (HDI) supported by the elected council or the community at large. However, it was authorized by the Confederacy council. 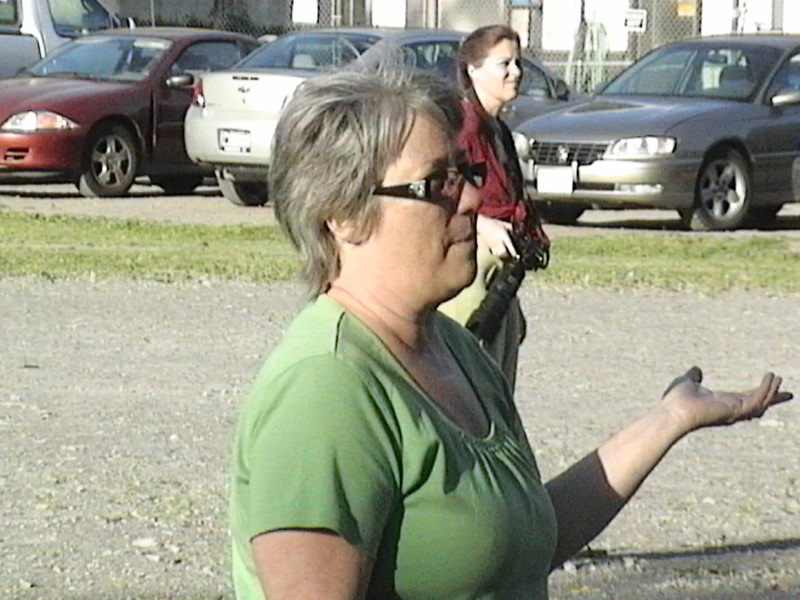 Deseronto resident Cindy Welsh tries unsuccessfully to convince Shawn Brant supporters to give Gary McHale a chance to speak. UPDATE 2134 EST July 01/09: See, ‘Video of CANACE in Deseronto‘ by Jeff Parkinson for complete coverage in 7 clips. Note: the event was actually held in a Picton park because the town of Deseronto refused to rent resident Cindy Welsh a room where we could speak and the Elks reneged on their rental deal with her. UPDATE: New story about our visit to Deseronton. See CANACE visits Tyendinaga Mohawk Territory, by Jeff Parkinson. UPDATE: Video added of Mohawks & supporters clapping when Gary McHale talks about attempted murder of police officer in Caledonia. More video clips to follow. CANACE was invited to speak by Deseronto resident Cindy Welsh who rented the Elks Hall in Picton for Thursday, June 25 at 6:30 because the Town of Deseronto refused – again – to allow non-natives access to their hall to discuss their rights during a land claim dispute. Unfortunately, the OPP had earlier convinced the Elks manager to cancel the room rental which forced us to try to speak outside in a remote park with no police presence whatsoever while a large group of Shawn Brant supporters shouted us down and screamed hateful insults. 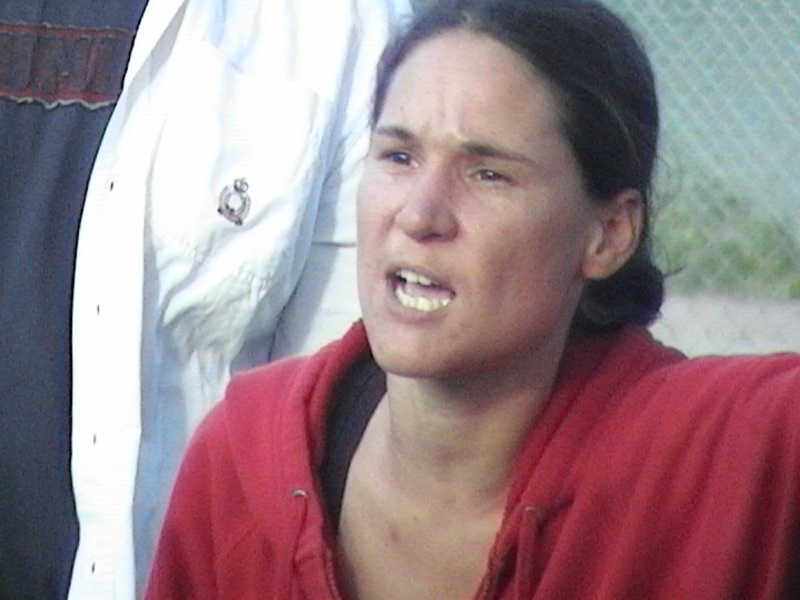 It seemed as though some – especially one woman in particular wearing a red shirt (photo, below) – were deliberately trying to provoke some kind of fight. Jeff Parkinson filmed the entire event, and clips will be posted when available. At one point some of the group actually applauded when Gary McHale tried to talk about how a police officer was nearly murdered in Caledonia! We met with 2 MELT (Major Events Liaison Team) members at Cindy’s home prior to the event. We tried to let them know that no one had anything to fear from us. Gary even explained how he was opposed by the Crown when he tried to lay charges for assaults against police officers in Caledonia. Posted in 1. VoC's MOST IMPORTANT POST, CANACE, CANACE News, Cindy Welsh, Courage & Cowardice, Courage & Sacrifice, How low can they go?, June 25-07, Merlyn Kinrade, MUST SEE, Native Protests - Deseronto, Native Racism, One Law for All!, Racial Policing, Racial Profiling, Reaching out to native people, Strength of a Woman, True North - NOT free! On June 12/09 OPP Sgt. Phil Carter informed CANACE that the OPP was consenting to a planned march by non-natives down Argyle Street past the occupied Douglas Creek Estates with Canadian flags. Along with every other gutsy Canadian who is making a difference in this struggle (you know you who are!) I would like to give special thanks to Merlyn Kinrade for his tireless work within his beloved community of Caledonia. Thanks also to Pat, Roland, Christine and Debbie. This is your day, too! I would like to sincerely thank Sgt. Carter and the OPP, including Julian Fantino for making this important change in policy. 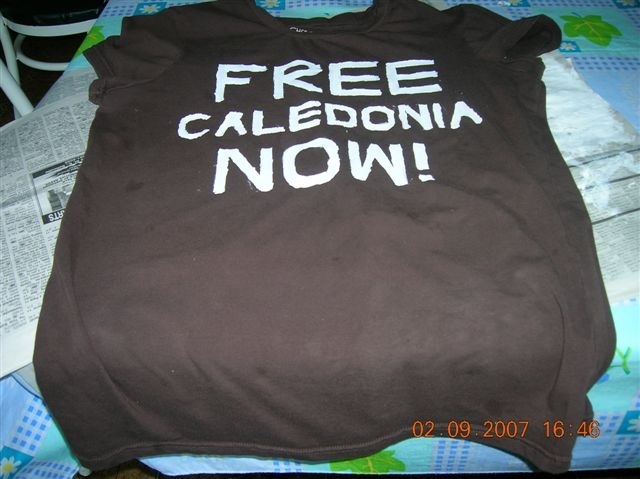 Given how involved the Commissioner is in the affairs of Caledonia, especially where Gary McHale and CANACE is involved I know that it would not have been possible were it not for Mr. Fantino’s approval. Whether that approval was a result of Minister directive or one from the Legal Services Branch of the Attorney General, I don’t know and don’t care. The fact is, someone, has directed the OPP to change its policy in a fundamental way. This was never personal. Even though we protested at your home it was to bring about changes such as this using peaceful, lawful, democratic means rather than the violent/criminal methods of native extremists. I can’t speak for Gary McHale, but I am willing to talk with you or your lawyers about moving on to a better time. You can make my defamation lawsuit disappear by clearing my name with an simple apology for falsely accusation me of being ‘involved’ in violence. As you already know I don’t want any money. You can also make my OHRT complaint disappear simply with an apology and a directive to your officers that they are to enforce the law without regards to race in accordance with the Police Services Act and the Ontario Human Rights Act. Again, you already know I’m not asking for money in connection with this either. As for the lawsuit regarding my arrest, have your people call my people. 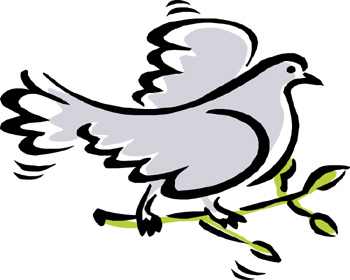 Readers who are skeptical about OPP commitments are asked to please read this post before commenting. Thanks. I received two ‘Letters to the Editor’ from Caledonia residents who sent them to media outlets for publication, but have asked us to reprint them. Both women have been very much impacted by the occupation of the Douglas Creek Estates and, apparently, didn’t think much of Fantino’s pathetic PR appearance at a Caledonia Tim Horton’s on March 02/08 while we were protesting at his home in Woodbridge. Just read your article about property in Caledonia. Great article [reprint]. Thanks for keeping our town in the papers. I’m writing to tell you that we are also stuck in the middle of this mess and hostage taking.